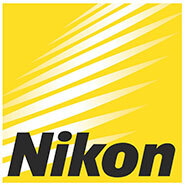 Nikon is contributing to technology in numerous fields, from manufacturing semiconductors with nanometer-rule circuit patterns and advancing bioscience, to furthering the possibilities of imaging and capturing views of stars that are billions of light years away. What makes this possible? Our opto-electronics and precision technologies that we have nurtured throughout our history and used to create an extensive range of products, services and even more new technologies. Nikon will continue to enrich lives around the world, support cutting-edge industries that are shaping the future, and confront the challenges facing societies around the world.